Christopher Wilson is an auto restorer, currently rebuilding a 1990 Camaro in his Sycamore Township, Ohio shop. As part of his job, he is always checking numbers on engine parts and orders. 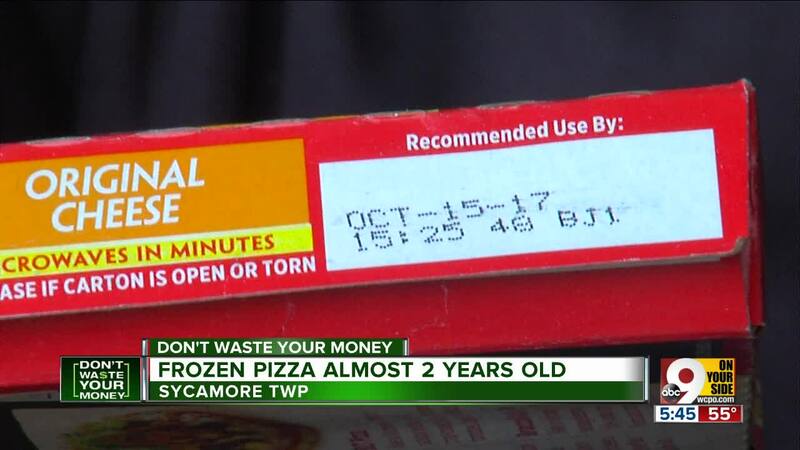 So when he bought a couple of frozen microwave pizzas for lunch at a nearby dollar store, he casually checked the date on the box. He was stunned: The Celeste single-serve cheese pizza had a use-by date of December 16, 2017, well over a year ago. "I had to do the math in my head," Wilson said. "I thought this is 2019, so this has to be from a couple of years ago." Wilson said he thought maybe he grabbed one old pizza out of a batch. But then he checked the second one he bought, and found it a year and a half out of its expiration date, meaning it must have been made nearly two years ago. It had a use-by date of October 15, 2017. "If it had been from October 2018, I probably would have still eaten it," Wilson said. " But from 2017, that's out of hand. That's old, too old to eat." We checked the nearby dollar store, and found the Celeste pizza is now safely within its dates. (Because we were unable to replicate his results, we are not naming the store). But we did find a box of Celeste Garlic Sticks that had expired within the past few weeks. Meantime, a quick check of another dollar store down the road turned up several expired boxes of Jiffy Mix, with use-by dates in January, several weeks ago. "A good deal on something worthless is not a good deal," Wilson said. Readers Digest agrees, saying in a recent report that dollar stores offer great deals, but have been known to have expired merchandise on shelves, as their food does not turn over as fast as in supermarkets. The magazine says check expiration dates of all dollar store food before you buy it. We checked with the manager of his local dollar store, who told us she was unaware of any expired pizzas, but said an employee would check their frozen food carefully for anything long past its date. You should do too, so you don't waste your money.